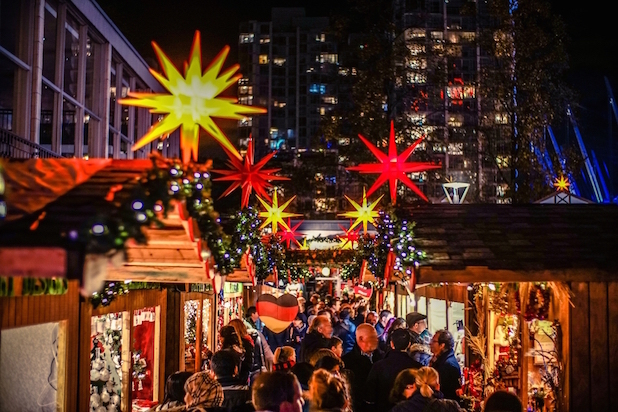 Here's your yearly Christmas Markets roundup list. Keep checking back because this one will grow larger than The Grinch's heart. Plenty of Christmas markets in 2016. The Medieval Christmas Market isn't returning this year, but there are several newcomers to fill its place. Keep checking back back as we get the latest on Christmas markets in Shanghai. 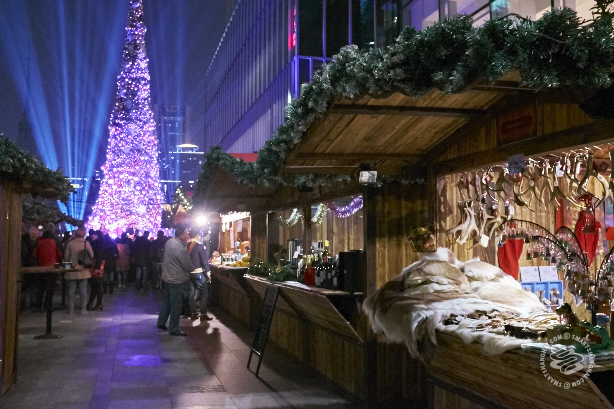 The most authentic Christkindlmarkt in town moves to Paulaner's Expo location in Pudong. 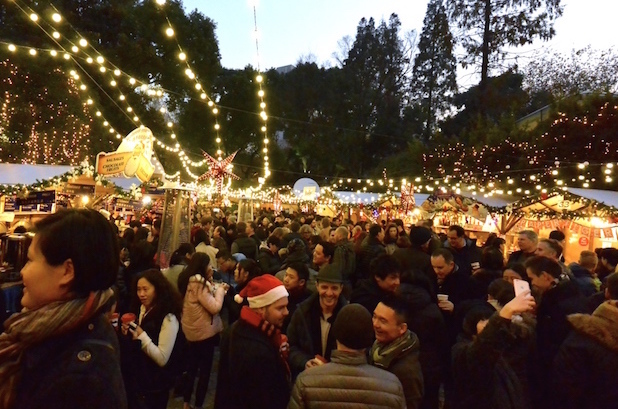 The spacious garden at Shibo Avenue will be customarily set up with 70 seasonally decorated wooden huts and the crisp, cold air will be filled with the fragrance of sizzling sausages and hot spiced Glühwein. 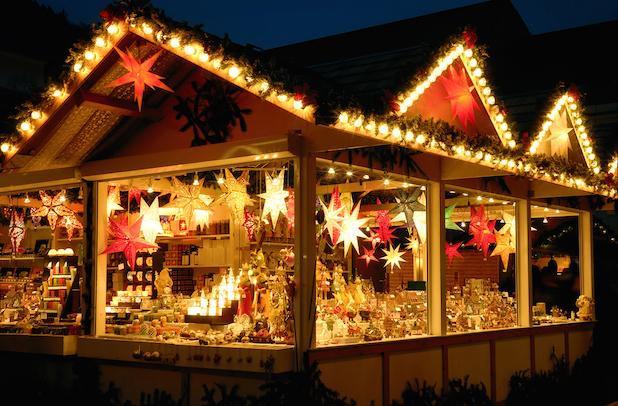 Expect all the traditional elements -- candies, treat, pastries, seasonal snacks and beverages, in a market atmosphere, where you can also pick up your wreathes, ornaments, toys, and more. 30rmb entry fee. Children under 10 admitted free. Hours: Thursday & Friday, 3pm to 10pm; Saturday, 11am to 10pm; Sunday, 11am to 9pm. Another German Christkindlemarkt joins the fray. This brand new market is organized by City Moments, who put on a pretty popular Oktoberfest in the same location earlier this year. The market promises "the scent of baked apples, chestnuts, gingerbread, mulled wine, rum punch, roasted almonds, and Nuremberger sausages." 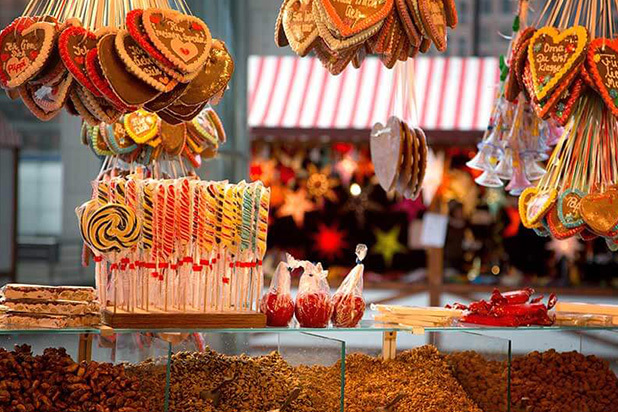 Stalls also offer handcrafts, gifts, and German specialties. Price is 50rmb with a mug of mulled wine or punch. Happens at Bubbly Nation. Hours: Weekends from 12-10pm and weekdays from 5-10pm. Here's one of the newer markets in town that's looking to be good. 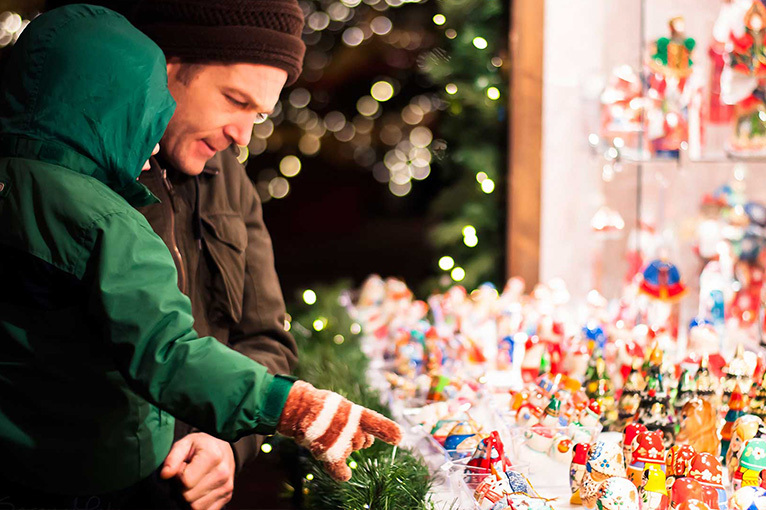 The Pudong Shangri-La's Christmas market is filled with festive crafts and ornaments. Traditional Christmas treats include mince pies, gingerbread, Hungarian goulash, and mulled wine in a festive mug that you can keep. Santa is attending, as is a live band. Free to enter. Hours: Fridays and Saturdays, 5-9pm. Starting a bit later than last year, The Piazza of the Jing'an Kerry Center has a 16-meter tall Christmas tree and several vendors in wood huts at their Christmas market. Shops here sell scarves, Christmas ornaments, and there was at least one dental booth. Food options from the likes of Kartel, Mr. Waffle, and Dutch Pies. Santa will drop in for pics on December 24 & 25. No cover. The Jiashan Market happens every first and third Saturday. On December 19, they are doing a Christmas-themed version. Amelia's is selling mulling spices, The British Kitchen has puddings and mince pies, and other vendors are selling holiday treats. There's also carol singing, mulled wine, and cookie decorating. The market is smaller and cozier than the others, and you'll probably run into some regulars if you go. 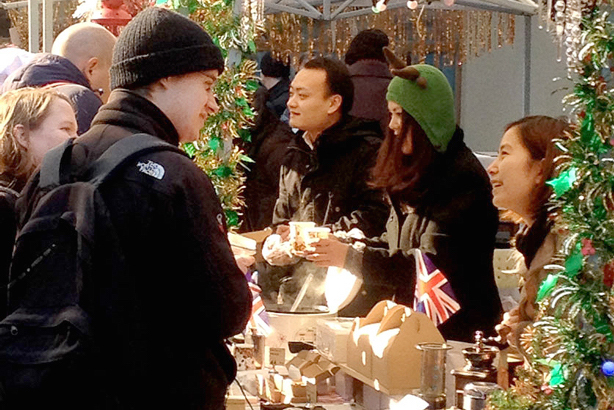 The organic food movement has made its way into Christmas markets. This one happens at naked Hub in Xintiandi. They've got workshops on olive oil tasting, microlandscape DIY, astrology, Chinese tea etiquette, and more. They say they've got unlimited free-flow beer and drinks with the purchase of a coupon at the door for 30rmb. No cover to get in. Some workshops charge. 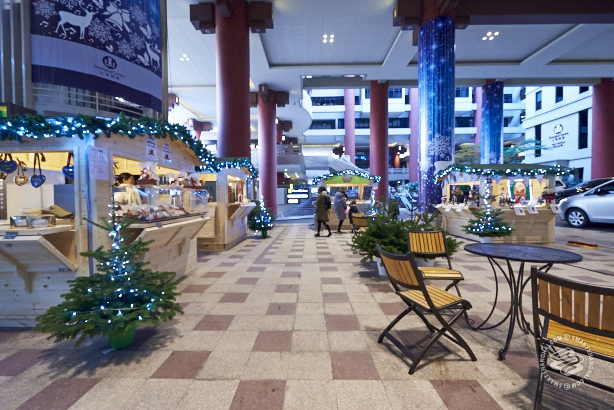 Shanghai Centre celebrates Christmas with a Christmas market running three weeks long. They'll have festive shopping, Christmas treats, live performances, raffles, and a Santa Lucia Celebration with the Swedish community. Last year the market wasn't too successful and some huts weren't Christmas-related in any way. Free entry. Hours: Monday-Thursday, 10.30am-7pm; Friday-Sunday, 10.30am-8pm.